For the front and back cover, I used the thin cardboard that comes with all DS Paper packs and cut 2 pieces 4-1/2" x 5-3/4". 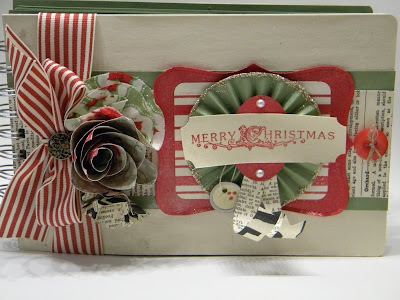 Cut 2 pieces of Naturals Ivory card stock at 4-1/2" x 5-3/4" and attach one to each of 2 cardboard pieces. Cut 2 pieces of Wild Wasabi card stock 4-1/2" x 5-3/4" and attach to the opposite sides of the cardboard. Adhere 3" x 5-3/4" Wild Wasabi card stock. 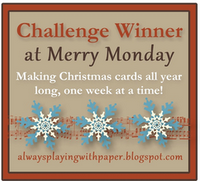 Adhere 2-1/2" x 5-3/4" First Edition Specialty Designer Series Paper to Wild Wasabi card stock. Using the Top Note Die and the Big Shot cut a Top Note with Real Red card stock and adhere to First Edition Specialty DSP. Round corners of 2-1/2" x 3-1/2" Holly Berry DSP using 3/16" Corner Punch. Adhere to Real Red Top Note shape. Run Linen Thread through Real Red button holes and tie in the front. Adhere Real Red Button with a Glue Dot. 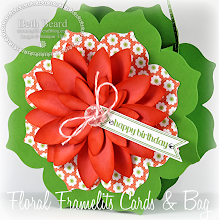 To create the Wild Wasabi rosette, score 1-1/4" x 11" Wild Wasabi card stock strip every 1/4", then accordion fold. 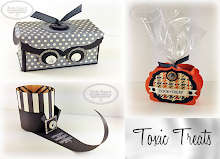 Adhere 2-Way Glue to edges of rosette, then pour Champagne Stampin' Glitter on rosette, tap off excess. Adhere rosette using glue gun. Wrap Real Red 1-1/4" Striped Grosgrain Ribbon around cover, adhering in place underneath, tie bow on side. Attach Antique Brad to center of bow. 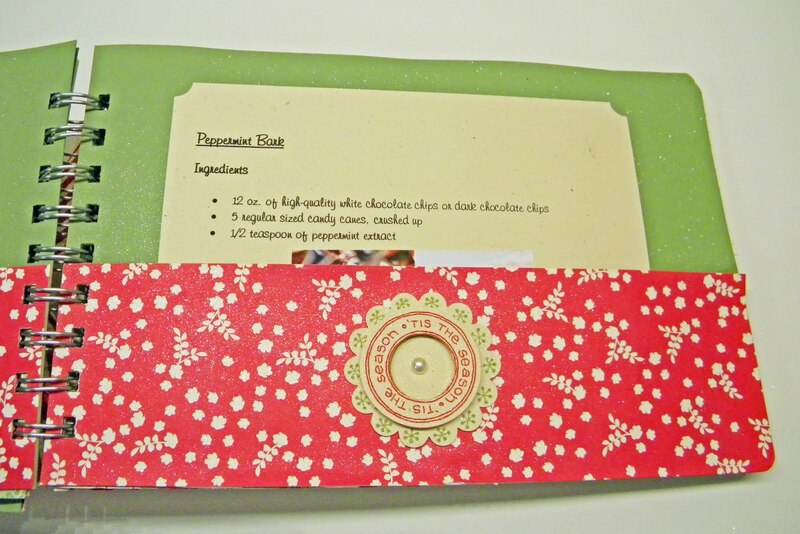 Punch Large Oval in Real Red card stock. Cut a long strip of First Editions Specialty DSP, fold in half to create two ends, cut "V" in both ends, then adhere to bottom of Real Red Large Oval.Curl with fingers. Adhere Pearl Basic Jewel to top and bottom of Real Red Large Oval. Stamp Merry Christmas greeting from Christmas Lodge Stamp Set onto 1" x 3-1/4" Naturals Ivory card stock in Real Red Classic Ink. Use Ticket Corner punch on all 4 corners. Adhere to Real Red Large Oval. Ink Pine Branch stamp from Christmas Lodge Stamp Set in Wild Wasabi Classic Ink or Stampin' Write Marker, then stamp Vintage Tag. Tie Vintage Tag around around Naturals Ivory banner. Punch 3 First Edition Specialty DSP using Scallop Circle Punch, crumple paper, then stack and use Mat Pack, poke hole in center and attach brad. Adhere to front cover with a Glue Dot. 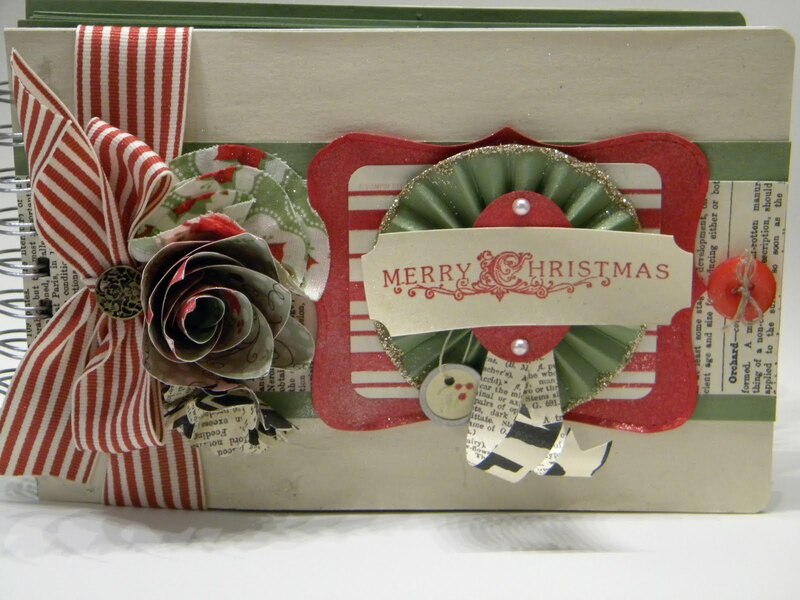 To make Christmas rose, use Ornament Punch and punch out 11 ornaments in the Holly Berry DSP and a 1" circle. 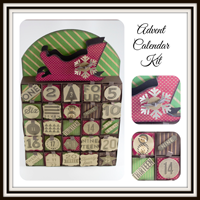 Run Bone Folder across each ornament (petal) to break down paper fibers and curl. Use 2-Way Glue Pen and cover 1" circle. Attach petals one at a time working from the outside in. Adhere with Glue Dot. Create fabric flower by cutting out 4 circles using Big Shot and #2 Circle Die. Stack circles and attach brad to the center. 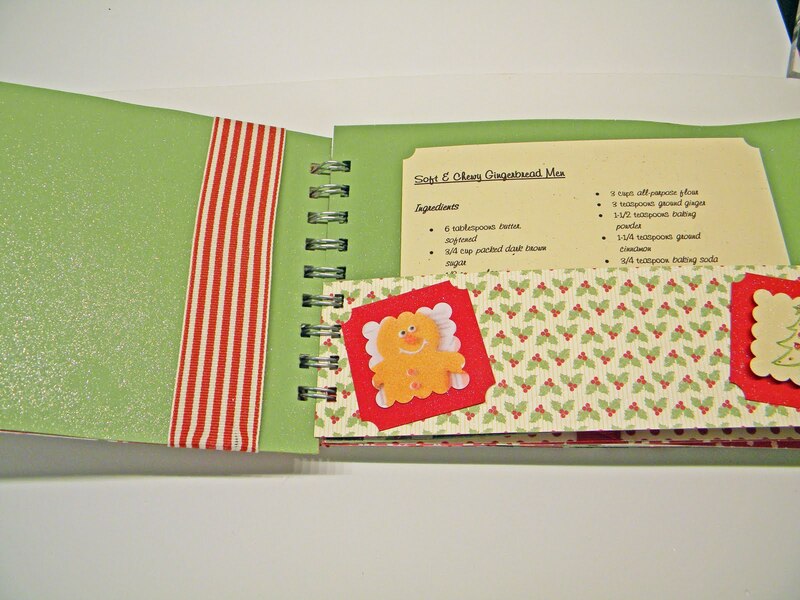 Adhere flower to cover with a Glue Dot. Using Champagne Glimmer Mist in a spray bottle diluted with rubbing alcohol, lightly mist front & back cover. Do not saturate and let dry. Cut 5 inside pages 4-1/4" x 5-1/2" in Wild Wasabi card stock. Cut 12 Holly Berry DSP measuring 3" x 5-1/2". Apply Sticky Strip to 3 sides; each 3" side and one strip to the 5-1/2" side, leaving the other 5-1/2" side open to insert recipe. 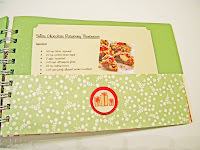 Adhere to 4-1/4" x 5-1/2" Wild Wasabi card stock creating a pocket to hold recipe. Embellish. 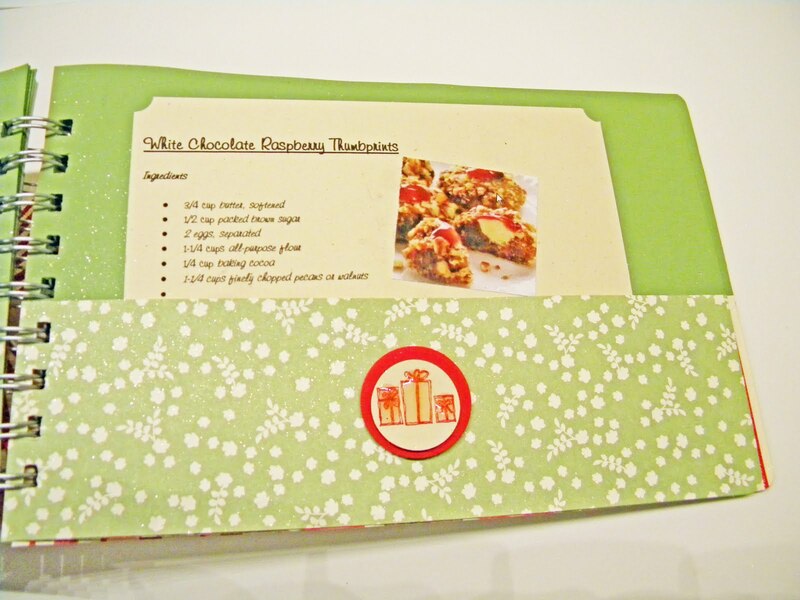 Print favorite recipe onto 3" x 5" of Naturals Ivory card stock and use Ticket Corner punch on all 4 corners. 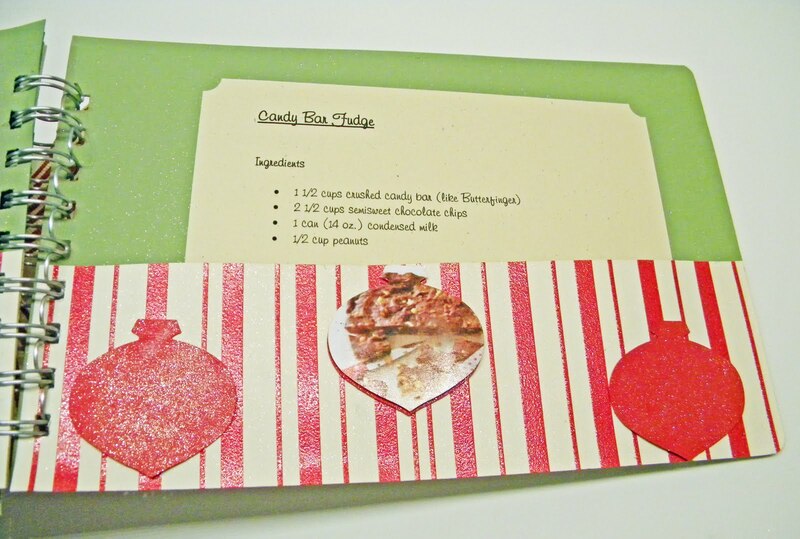 Add photo of recipe and insert into pocket. To bind the book, I used a Bind It All, but if you do not own one, use a Crop-a-dile and punch 2 holes on front & back cover, plus each of the pages. 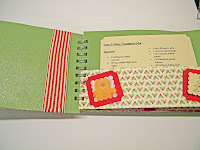 Stack cover & pages and insert a 1" Book Ring, (can be purchased anywhere office supplies are sold), thru each hole to bind your book together. 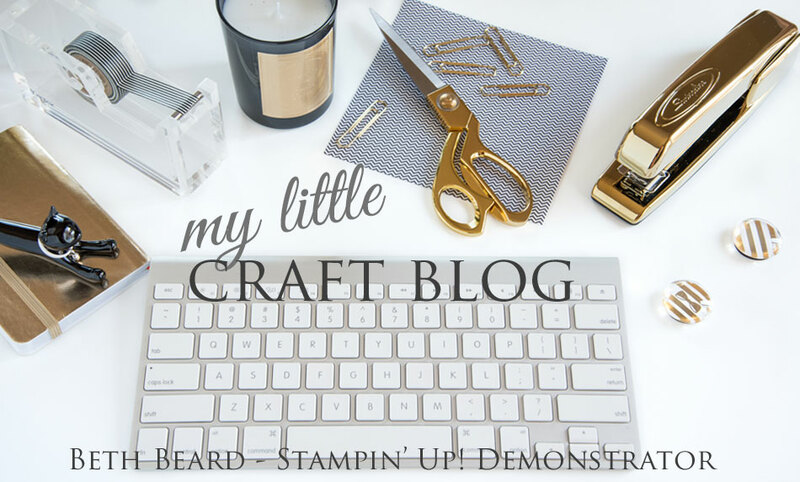 If you would like a PDF version of this post, click on the PRINT PDF button at the bottom of this post to the left of my name. What an amazing collection of Christmas Recipe Book. Keep it up and keep adding more stuff to your blog to make it look more worthy.Looks so good and wonderful.Thanks.Can you please share the details of essay services that are available on web?will i get academic writing process from start to finish, and practices all the key writing skills by taking custom essay writing service help.